All the way to Memphis: American six-stringer shines in the light of blues giants he’s bound to join. 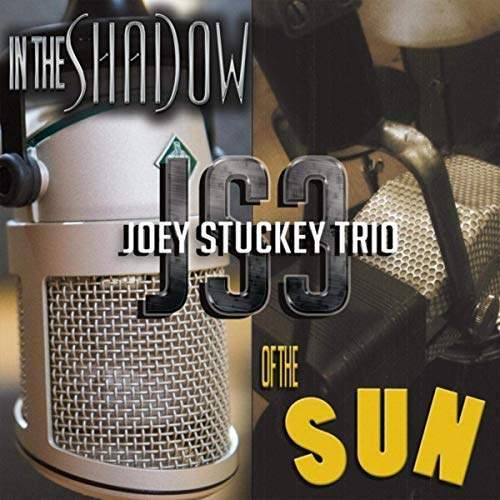 Being blind, Macon-based guitarist Stuckey knows his way around penumbral world, and 2010’s "The Shadow Sound" provided a convincing snapshot of his abilities, but this album’s title has a fresh connotation to it, referring to the legendary Tennessee studio where many a classic was preserved for posterity and where Joey took his trio to to play an invigorating mix of originals and covers. More so, there are two mixes of the record available: stereo and mono, the latter taking the fuzzy edge off lead single “You’re So Wrong” – with an outlook of the locale included – for a more focused punch and reining in other numbers’ effervescence. So yes, the balance is nigh on perfect here, in both space and time. By repurposing a couple of earlier cuts for the new context, the artist was able to further polish the pop-minded “Still Me, Sane & Free” and, finally, electrify “Truth Is A Misty Mountain” which previously existed in a purely acoustic form and infuse it with jazzy airiness. Yet Stuckey’s take on Van The Man’s “Domino” contrasts instrumental crunch with a supple-to-rasp vocal delivery before the same funk approach – emphasizing the spare rhythm laid down by Charles Arnold’s drums and Nestor Jaenz’s bass – is applied to the soulful “Trouble Comes In Threes” that’s enhanced with Randall Bramblett’s Hammond and given a blistering guitar solo. Brass and children’s choir flesh out “Ain’t It Good To Be In Love” in the most glorious way, as do Joey’s tastiest riff and handclaps, and the echoes of a certain Al Green classic, while the double-tracked guitar drive the roaring version of “Whippin’ Post” beyond the pale, towards the gates of greatness Joey Stuckey’s been looking for for years now. A little more effort, and he’ll make it.